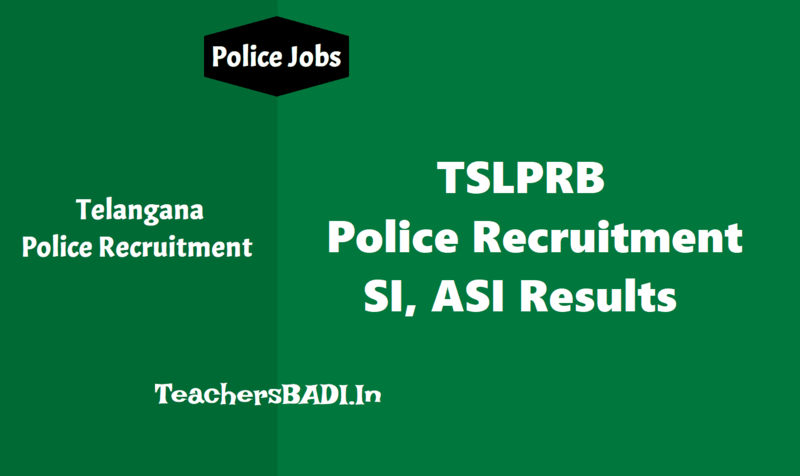 TS ASI, SI Written test Results 2018 announced: A total of 4,684 candidates qualified for the SC Sub Inspector (Information Technology and Communication) test while another 3,276 made it to the post of SC (Assistant Sub Inspector) Finger Prints Bureau in the recently held recruitment drive under taken by the Telangana State Level Police Recruitment Board. The examination was conducted in the State on May 31 this year and the key was released on September 19. After receiving the objections and resolving it, the final result was announced. A total of 10,809 candidates had appeared for the SC Sub Inspector (Information Technology and Communication) test of which 4,684 had qualified. Similarly, 6,103 candidates had appeared for the test of the SC (ASI Finger Prints Bureau) and 3,276 had qualified in the written test. The candidates who had qualified in the preliminary examination now have to login to the “www.tslprb.in” and upload the Part II application along with scanned copies of the certificates /documents. Based on their applications the candidates will have to appear to physical measurement test and physical efficiency test.